"The War That Ended Peace: The Road to 1914'' by Margaret MacMillan: I am only halfway through the book and I don't want to put it down, but occasionally I must if I am to earn a living. On the other hand, when I finish it, I will regret having done so because what I will really want to do is read it again for the first time." In the 2015 CBC Massey Lectures, renowned historian Margaret MacMillan explores some of the great people - good and bad, dreamers, explorers and adventurers - who have shaped their times and ours. One historian’s view of the people of the past who have intrigued, horrified or engaged her. Some of these great figures have changed the course of history and even directed the currents of our time. Others are memorable for being risk-takers, adventurers, or observers. Margaret MacMillan looks at the concept of leadership through Bismarck and the unification of Germany; William Lyon MacKenzie King and the preservation of the Canadian Federation; Franklin Delano Roosevelt and the bringing of a unified United States into the Second World War. Leaders can also make huge and often destructive mistakes, as in the cases of Hitler, Stalin, and Thatcher. Richard Nixon and Samuel de Champlain are examples of daring risk-takers who stubbornly went their own ways, often in defiance of their own societies. Then there are the dreamers, explorers, and adventurers, individuals like Fanny Parkes and Elizabeth Simcoe who manage to defy or ignore the constraints of their own societies. Finally, there are the observers, such as Babur, the first Mughal emperor of India, and Victor Klemperer, a Holocaust survivor, who kept the notes and diaries that bring the past to life. History’s People is about the important and complex relationship between biography and history, individuals and their times. Professor Margaret MacMillan, historian and Reith Lecturer in 2018, shares the eight tracks, a book and a luxury she'd want to take if cast away on a desert island. Professor Margaret MacMillan was educated at the University of Toronto and the University of Oxford. She specializes in British Imperial history and modern international history. Her books include Paris 1919, Nixon in China: The War that Ended Peace and History’s People. She is a Fellow of the Royal Society of Literature, a Companion of the Order of Canada and a Companion of Honour (UK). Professor Margaret MacMillan is the 2018 lecturer in the BBC’s Reith Lectures. A century has passed since the Treaty of Versailles was signed on 28 June 1919. After WWI the treaty imposed peace terms which have remained the subject of controversy ever since. It also attempted to set up a new international order to ensure that there would never again be such a destructive war as that of 1914-18. Professor MacMillan, a specialist in British imperial history and the international history of the 19th and 20th centuries, will consider if the treaty led to the outbreak of the Second World War and whether the attempt to create a new world order was a failure. "Don't ask me who started the war or I'll burst into tears," she says when we meet on the eve of her departure for Canada. I put that question aside, and instead ask what she has made so far of the commemoration. "Some of it has been good," she says. "Historians have been debating it at quite a high level. When the politicians get involved they have their own agendas, and the debate becomes caught up with what they think of Britain today. The War That Ended Peace is one of five books nominated this year for the $25,000 Shaughnessy Cohen Prize for Political Writing, which will be awarded April 2. The Globe and Mail will feature interviews with each nominated author during the week of March 17. Read an interview with Paul Wells on figuring out what Prime Minister Stephen Harper is thinking or Charles Montgomery on how to make cities that make people happy. How could a Europe that had been so prosperous and so largely peaceful for so many years, that was basking in a glorious period of trade and technological advance, that was flourishing within a long-established global order, have been thrown — in the course of a month — into the bloodiest conflict the world had then ever seen? Historian Margaret MacMillan joins Christiane Amanpour to discuss why war is still such an integral and paradoxical part of our human existence. The meaning of war. Margaret MacMillan challenges us to understand the persistent presence of violent conflict. 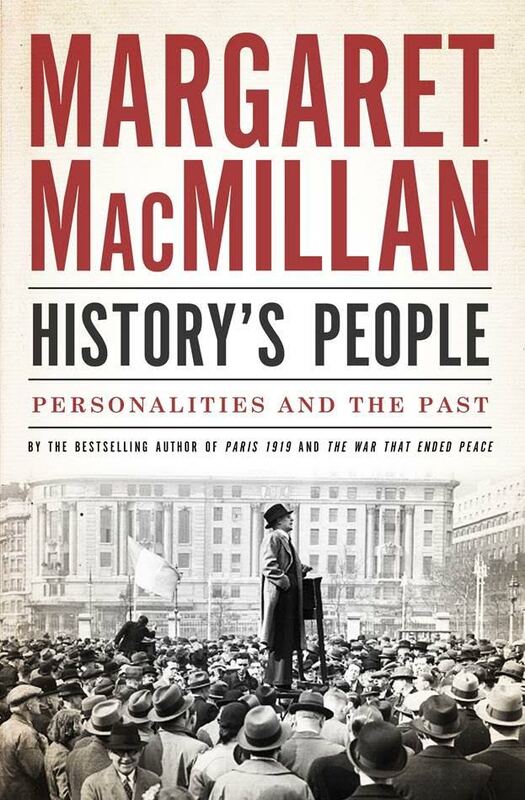 Historian Margaret MacMillan explores what has really shaped Europeans' identity.